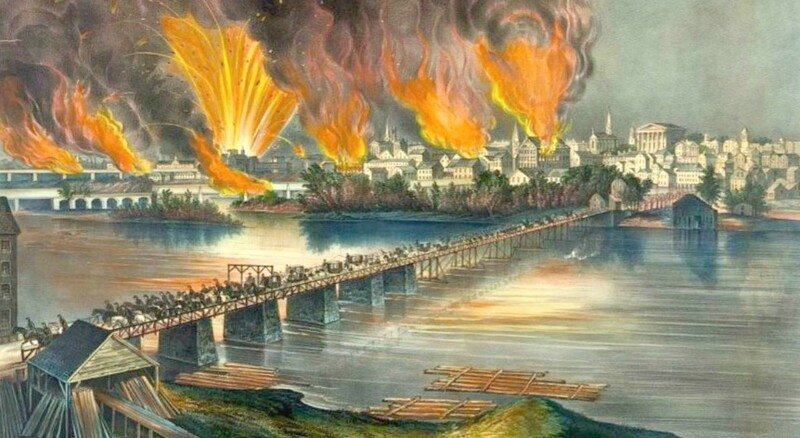 When readers in the Confederate capitol of Richmond, Virginia during the American Civil War scanned the front page of the Richmond Daily Dispatch of Monday, January 25, 1864, an article that must have been disquieting, if not astounding, met their eyes. 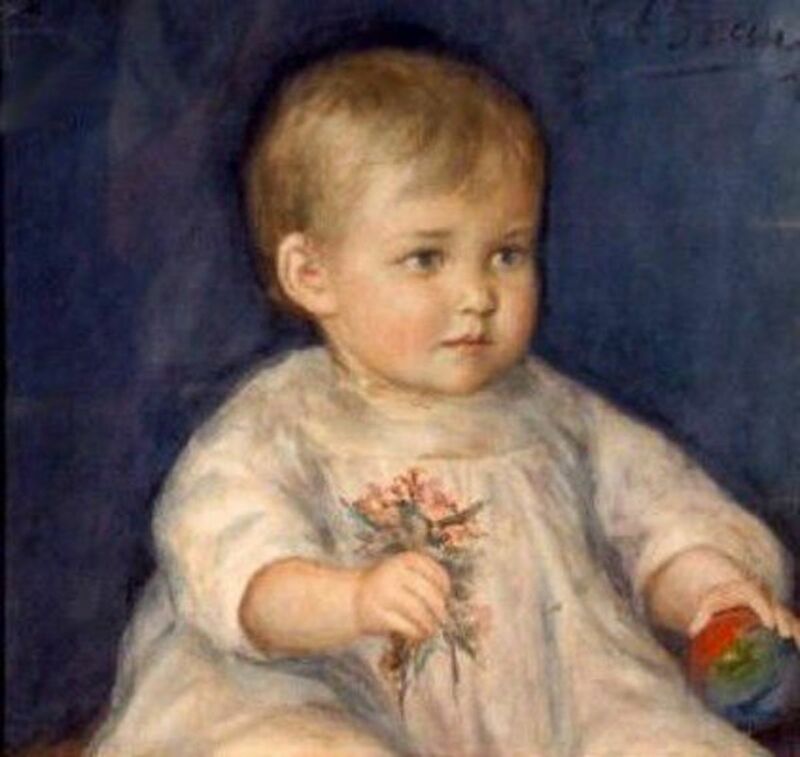 Queen Victoria godmother for a “Colored” Baby. To a Southern slave-holding populace fully indoctrinated with the belief that any kind of equality between white and black was an impossibility, the idea of the Queen of England having chosen to be the active, and even affectionate godmother to a black African must have seemed bizarre. Who was this African princess who received such great favor from the English monarch? 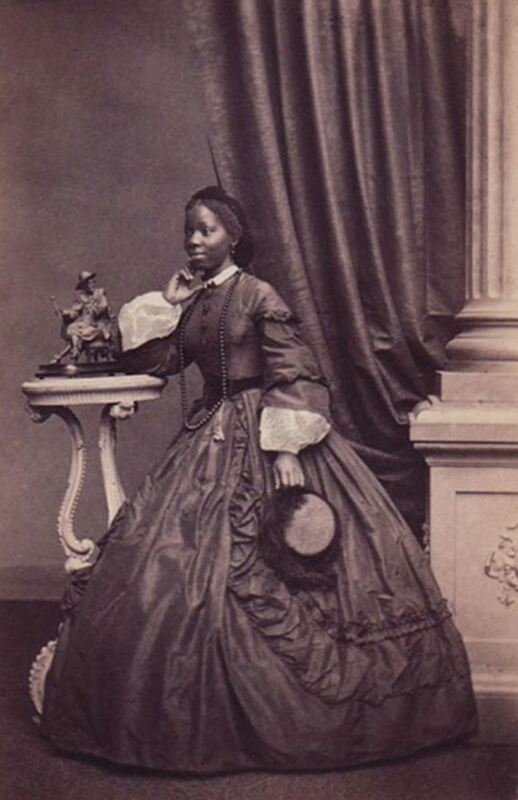 She was Sarah Forbes Bonetta (the order of her names was often reversed), and was herself a victim of the slave trade. Named for the British sea captain and his ship that rescued her from captivity and death, she was a West African of royal blood. Sarah was born to a clan of the Yoruba in what is now Nigeria, and was orphaned in 1848 at the age of about five when her people were massacred by slave-raiders from neighboring Dahomey. Because she was of high birth, instead of selling her to slave traders, the Dahomeans presented her to their king, Gezo. The king held her as a royal captive, to eventually be offered as a human sacrifice. I have only to add a few particulars about my extraordinary present ‘the African Child’ - one of the captives of this dreadful slave-hunt was this interesting girl. It is usual to reserve the best born for the high behest of royalty and the immolation on the tombs of the deceased nobility. For one of these ends she has been detained at court for two years, proving, by her not having been sold to slave dealers, that she was of good family. She is a perfect genius; she now speaks English well, and has a great talent for music. She has won the affections, but with few exceptions, of all who have known her. She is far in advance of any white child of her age, in aptness of learning, and strength of mind and affection. There seems to have been a good deal of affection between the English monarch and the African princess. Victoria became Sarah’s godmother, and paid all her expenses. Sarah was a frequent visitor with the Royal Family at Windsor, and became a particular companion of Princess Alice. The two are said to have often ridden together around the castle grounds in a pony cart. Eventually, it was decided that it was time for Sarah to marry, and, following royal tradition, Buckingham Palace arranged a match for her. The chosen suitor was recent widower James Davies, a 31 year old West African businessman and missionary who was then living in England. Initially, the proposed match was not at all to Sarah’s liking. 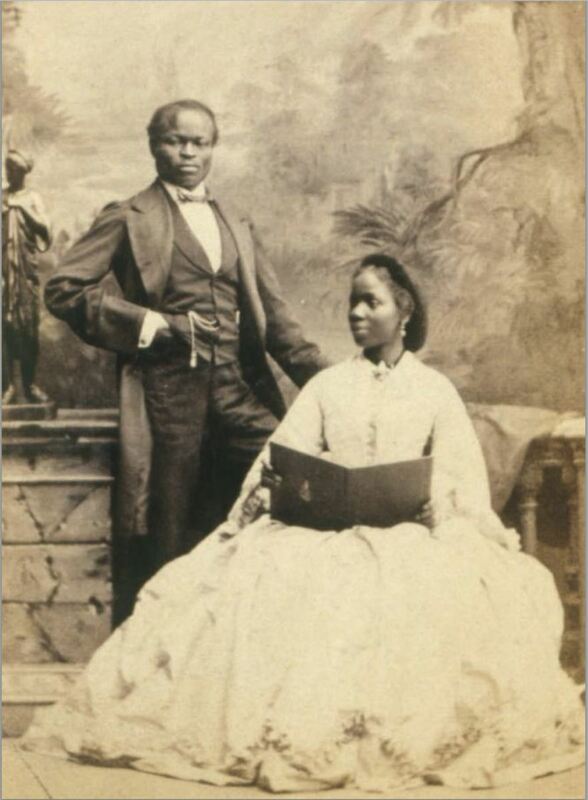 But life as a royal protégé being what it was, the marriage took place on August 14, 1862. Once married, Sarah is said to have come to deeply love her husband, and she soon presented him with a daughter (as well as two later children). When Sarah wrote to Victoria for permission to name her daughter after the Queen, not only did Victoria give permission, she offered to be godmother to the child. Victoria Davies, like her mother, became a favorite of the Queen, and was one of the last visitors received by Victoria before the monarch’s death in 1901. Sarah herself, never strong, developed a cough that wouldn’t go away. She was sent to the island of Madeira in the hope that the pure and dry air would help her to recover. It did not. She died there of tuberculosis in 1880 at about 37 years of age. This is the background to the story readers of the Richmond Dispatch were confronted with on that Monday morning, early in the new year of 1864. It was commonly understood that this was to be the make-or-break year for the Southern Confederacy. Some still firmly believed that if the South ever seemed to be on the brink of ultimate defeat, Britain would step in on the side of the Confederates to prevent a reunited American nation from becoming the colossus of the world. But those who read this article, and were perceptive enough to understand its real meaning, would have realized that the hope of British intervention, if it ever really existed, was gone forever. 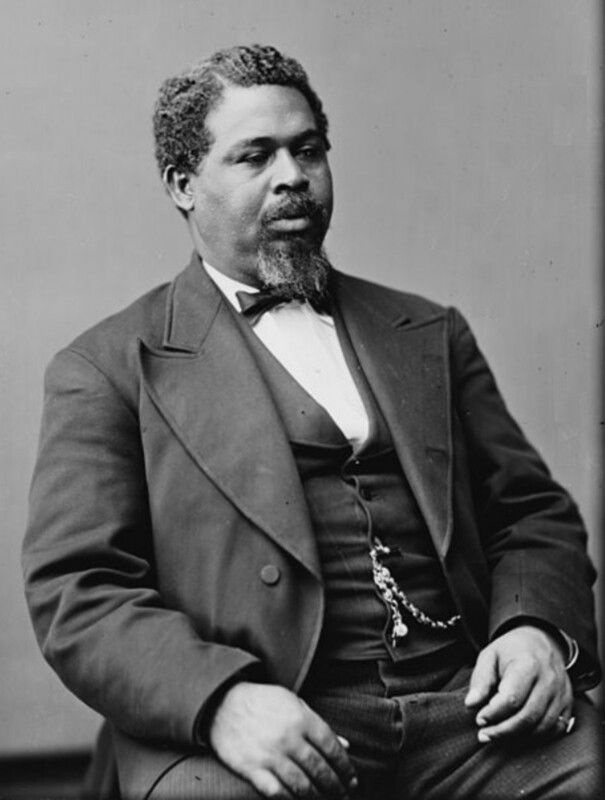 It was simply not possible that a monarch who had willingly become a loving godmother and life-long sponsor to a black African rescued from the clutches of slave traders, would not do all in her considerable power to prevent her nation from becoming the means by which American slavery was preserved. I agree with Rufus. The United States seceded from England to preserve the institution of slavery. Though we have forgotten this, surely Confederate Deciders (who immediate prior to their own declaration of Independence were American Deciders) were aware of the British rejection of the institution. Noting comments made 4 years ago, I came to your page re Sarah, having watched the BBC's Christmas special of their series "Victoria" which featured Sarah's story! I googled and found your blog!!! No lover of Monarchy especially illegal Monarchy but the story of Sarah made me cry. Mr. Franklin, one of my students got a hold of this book in 2000, and couldn't put it down. She was in 3rd grade at the time, and I couldn't get her to read. Her Mom and Dad had just divorced. She was very sad, so she only read that book. Please try to get this book in the Schomburg Library so they can have it circulating so more black children and other children,too can know their Black and British history. 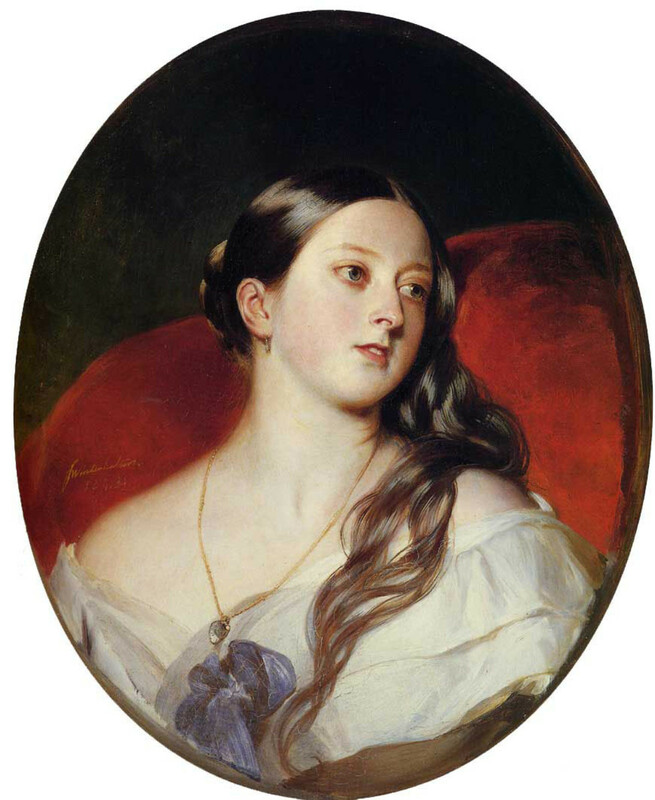 Queen Victoria was one of the most beautiful queens of English. There is so much black history missing. I am doing research on our Egyptian and Ethopian history which have been taken away from us and many lies told because other races are claiming them.. We as African -Americans must get our African history told so our people will know the truth. This is very ispiring! Thank you very much for informing us. Thanks much, Randa. I think it would make a terrific movie, and I hope that will happen one day. Sarah's story would make a good movie and thanks for all the research! I bet not too many people know about this part of history! Thank you, Kiss andTales. I hope your family really enjoys Sarah's story. I think it's an inspirational one. Hi, Alun. I'm glad you appreciated Sarah's story. I wonder how many in the UK are aware of this part of their history. One thing that strikes me is that at a time when the British upper classes tended to strongly support the Confederacy, Sarah's welcome and acceptance at Buckingham Palace must have sent a message not just to the Confederacy, but to Britain itself. Thanks for reading and sharing. Wonderful hub !very interesting , you never stop learning no matter your age , And we should never think we know it all because we can shut down future and wonderful hubs like you have presented. Thank you I have a wonderful new story to share with my family thanks to you Ronald Franklin. This is a wonderful story Ron on so many levels. It is easy to see historical events in (excuse the pun) black and white terms, but usually there are shades of grey. 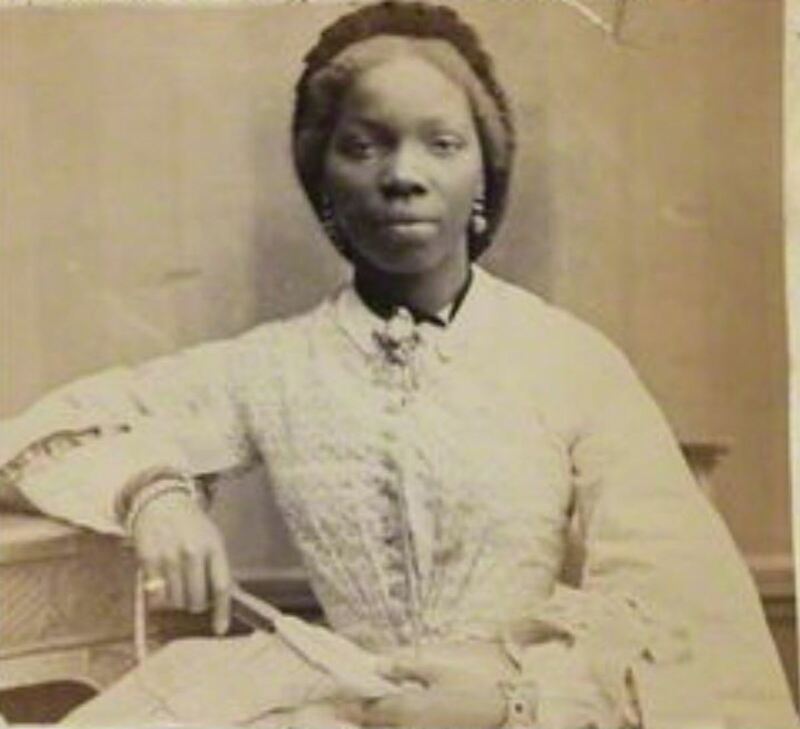 I'm sure there would have been a novelty interest in a black girl in 19th century British upper class society, which probably fired the initial fascination for Queen Victoria to learn about Sarah. But equally the continuing relationship with her, and with her daughter, clearly shows how deep affection and respect for her developed and endured. A side note - the reference to James Davies as 'J.Davies Esq', a 'West African businessman and missionary' also makes it clear also that even in those far off times, attitudes were changing and at least a select few black people could make it in respected society given the chance. "She is far in advance of any white child of her age, in aptness of learning, and strength of mind and affection." Finally Ron, I absolutely agree that Sarah's story would make a good movie. Failing that, a TV drama series. In the UK the BBC regularly transmits serious yet entertaining documentaries, docu-dramas and historical serials, and no doubt PBS and other TV services in America do likewise. If a project was suggested, I am sure there are production companies which would be interested as the tale would appeal to any interested in the history of race relations, or in royalty, biographies, social history, or just feel-good stories of the 'rags-to-riches' type. Malcolm, I had not been aware of the story of Abdul Karim. I just did a quick search and found out a little about it. Thanks for alerting me to this interesting history. No doubt you are aware of Victoria's Indian servant Abdul Karim (the Munshi), of whom she was quite fond also. Malcolm, I appreciate that. Thanks for reading and sharing. Thank you, StellaSee. 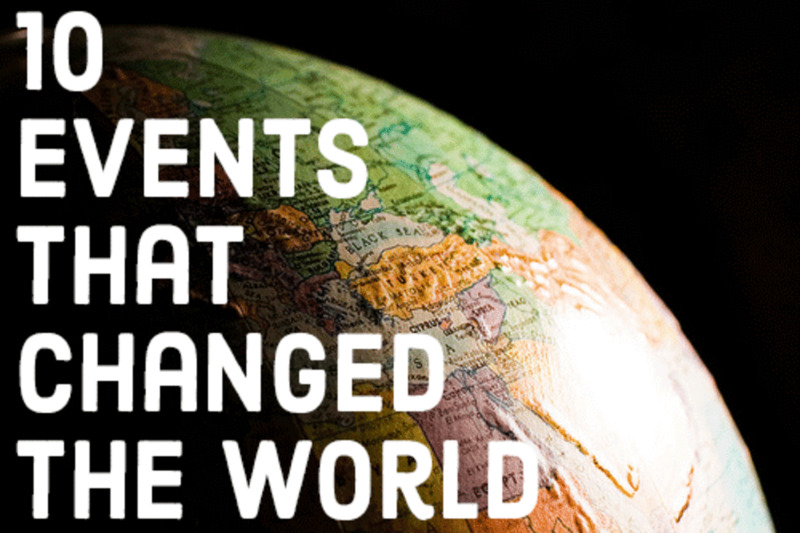 It definitely is a fascinating story, and I'm glad you were stimulated to do some research: there is much more to the story than I was able to include in this hub. Thanks, dingyskipper. It's surprising to me how many English people are unaware of this part of their history. It's a great story that shouldn't be forgotten. A fascinating feature on a topic rarely written about. Quite an enjoyable and well researched hub, extremely informative and interesting. Thanks for the insight and for sharing. Hi RonElFran, I landed on this page after seeing a link to this hub from one of your hubs of the day. Like dingyskipper before me, I've never heard of Sarah's story (I had to google her because I became so interested in this) Thanks for sharing! Thanks, Damaris. It is a fascinating story that, as you say, ended too soon with Sarah's untimely death. This is a fascinating story I have not heard before. Sarah's death held so much back-just like a movie with lots of suspense, but ended up abruptly. Rufus, the British upper classes were very pro-Confederate. 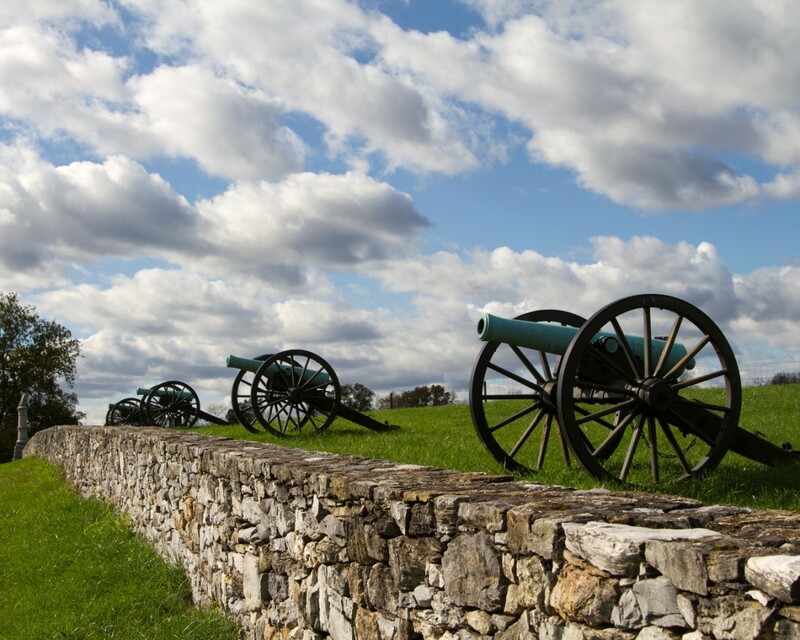 Had the rebels won some of the high profile battles they lost (Antietam, Gettysburg, etc), and had Lincoln not put forth the Emancipation Proclamation, there's a good chance the British would have intervened, and brought the French along with them. At the beginning of the war, the expectation of recognition by Britain and other European powers for the sake of "king cotton" was a major part of the secessionists' calculation that they could win a war with the U.S. It may just be me, but I'd struggle to imagine that the Confederacy would really expect a British intervention, given that for the previous fifty years the Royal Navy had been intercepting slave ships (the West Africa Squadron was founded in 1808 and at its height represented a sixth of the entire RN), and that slave trading by anyone anywhere in the British Empire was likely to get you a one-way ticket to Australia (back before it was a tourist destination) from 1811 onwards. If that hadn't clued them in, then the fact that the British had, since 1807, happily signed treaties with any newly formed nation (an easy way to gain international legitimacy and recognition as independent) to suppress the slave trade (Uruguay, Chile, Mexico and Bolivia in 1843 alone), bullied other empires into banning the trade (Ottoman Empire 1847) and outright bribed others (Spain in 1817 and Portugal in 1815) to suppress the trade. Hi, Robert, and thanks for your comment. You're right that Victoria would usually not be directly involved in making political decisions. But her moral authority and influence, especially on the slavery issue, would be massive. If she publicly opposed recognizing the Confederacy because of slavery, or even hinted that she might, I don't think too many in Parliament would want to pay the political price of going ahead. Think, for example, of the workers of Manchester who, even while suffering from the Union blockade that cut off supplies of desperately needed cotton, sent a memorial of support for the Union to Lincoln. Like most of the other commenters, I had no idea about Sarah Davies, & found your hub well-written, excellently researched, & fascinating. Queen Victoria's involvement in her life was a wonderful thing, but since the monarch is pretty much a figurehead in the British government, I'm not sure it meant that Britain wouldn't intervene on behalf of the Confederacy. It, & the story of how she ended up in Britain, DOES show that Britain, the nation most involved in the slave trade previously, had become its most committed enemy. Hi, William. Although Sarah's is not strictly a Civil War story, that Confederate newspaper account is where I first ran across it. Having already written about Confederate hopes for European intervention in the war, I saw Sarah's story in that context. Thanks for reading. Thank you, pstraubie48. I'd like to be hopeful that we are getting past the point where we divide ourselves based on race. But, as current events so graphically demonstrate, people don't have to be of different races or religions to find reasons to hate one another. You are so right....'we don't have to hate one another over our differences." That sums it up so well. It should behoove all of us no matter our race to make a difference for one another. We are after all the family of man and woman and as such should care for each other as we wished to be cared for. Unfortuntately that is not always the case. Thanks, Dip Mtra. You're right, this story shows we don't have to hate one another over our differences. Very relevant for today's US. Some of those cops need to read this about the power of love before they start massacring youngsters for no apparent reason. Cynthia, so far my scriptwriting skills are entirely invisible. The most I can say is that I've never had a script rejected by any studio. Thanks for the suggestion, though, and for reading and commenting. Hi, Jan. I'm glad to be able to introduce Sarah to you. Both she and Victoria were remarkable people whose story deserves to be better known. Thanks so much for reading and sharing. Hello RonEl. This is a most fascinating story. Of course, I'd never heard of this African Princess until I read this amazing article. This is definitely a rich piece of history you've presented very well, as usual. 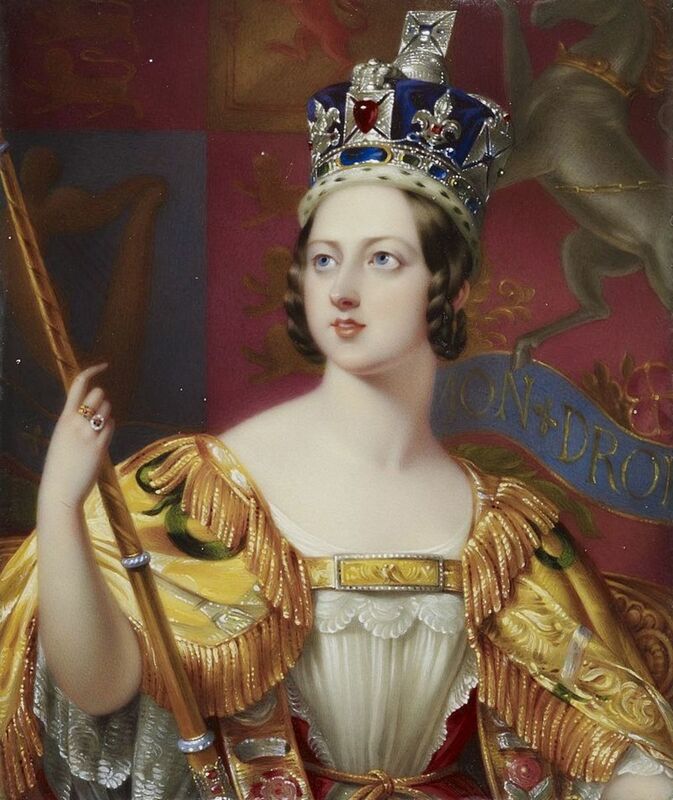 Thanks for the education about the generosity and capacity for the unconditional love of Queen Victoria. Voted up and interesting. Thanks, Snakesmum. I'm glad it was interesting for you. I'm hopeful of the story becoming more widely known. Having never heard this before, I found it very interesting. What a pity the story isn't better known! Thanks, Craftypicks. I appreciate that. This was really interesting. I had never heard of her before and I love English History! Great Hub. Thank you, Donna. It's certainly a story that shouldn't be allowed to rest in obscurity. Pastor Franklin, I am ashamed to say that I did know of the amazing story Princess Sarah Forbes Bonetta. Thank you for giving her a voice. Thanks, Jemjoseph. I think we may get this movie made yet! Like many others here I'm surprised that this interesting bit of history could go unnoticed, thanks for sharing and enlightening us all. Definitely movie material. Hi, Colin. I appreciate your comment. A lot of the Google traffic for this hub comes from Commonwealth countries, with many from the UK itself. So, you're not alone in your interest. Thanks, Shorebirdie. Our movie bandwagon is filling up! Maybe we could crowd source it. Thanks, Phyllis. I'm glad you enjoyed it. Welcome to the movie bandwagon, aka-rms! Thanks, Arachnea. There is a lot more to the story than I was able to include in the hub, so I'm sure your researches will prove fruitful. Fascinating story, and one I had not previously encountered, so thank you. She was an extraordinary woman, and her portrait presents her as a person of great dignity and presence. Wow, fascinating story and I, too, would like to learn more. I would love to see a movie about her. Ron, I really enjoyed reading about Sarah Davies. I had never heard about this before and that surprises me. This is a very interesting, informative hub. I agree that this young woman's story should be made into a film. I had never heard about this before. Very interesting. This is an awesome hub and one which bears further research on my part. Very well organized and definitely informational. It is also a story I've only heard for the first time in reading your hub. Thanks, Adventuretravels. I have to admit to being somewhat amazed myself that this dramatic and inspirational story isn't more widely known. I keep lobbying for somebody to make a movie of it, but nobody's taken me up on that yet. Hi, Sandyspider. I think Sarah's story throws light on a side of Queen Victoria that many people are unaware of. Thanks for reading. 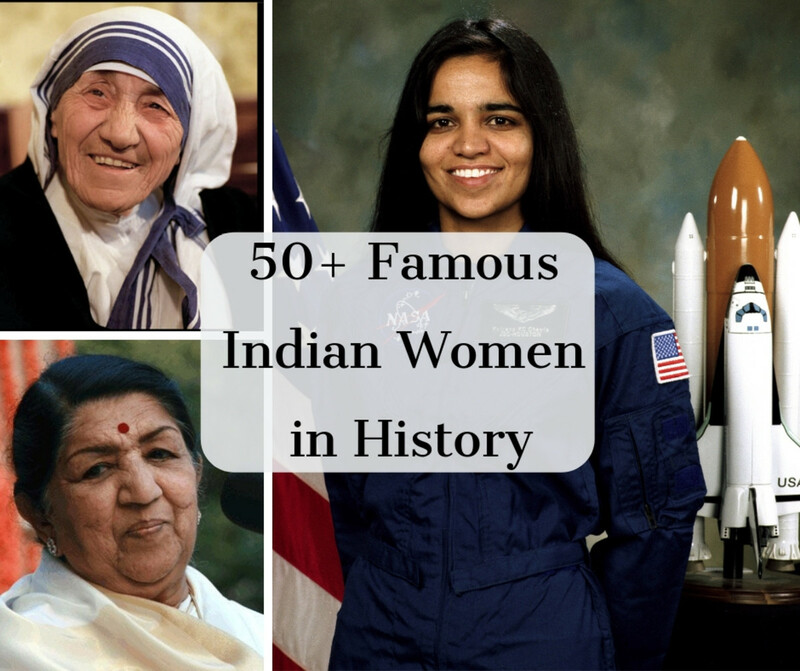 I absolutely cannot believe that I'd never heard of this amazing woman. I live in the UK and, although I'm not a royalist - I have been brought up with all sorts of stories about the history of the royals -so it's incredible to me that I didn't know about Sarah Forbes Bonetta. Thank you for your very interesting Hub. This is very interesting and informative. Just to think that Sarah Forbes Bonetta came close to being sacrificed. This is impressive with Queen Victoria and their relationship. Thanks, Dressage Husband. I'm hopeful that, like "12 Years a Slave," some movie maker will find this story. It could make a tremendous film. That's probably the best way for Sarah's story to become widely known. This is quite amazing that such an important part of English and Black history is not better known and used to promote equality as surely Victoria herself would have intended. Voted up and shared. Michael, you are very welcome. I hope Sarah's story will become more well known, especially among those, like yourself, who hale from her ancestral homeland. Thanks for reading! Thank you for this story. As a Yoruba man from Nigeria, living in Australia, this story really made me proud. Until now, nothing was known of this beautiful Princess who later became part of the British Royal family. Thanks, Miranda, for that info. I wonder if Sarah's story is well known, and perhaps celebrated, in Sierra Leone. The school she attended in Sierra Leone is the Annie Walsh Memorial School. Thank you, Celiegirl. I'm glad you liked the hub, and I appreciate your words of encouragement. Thank you! Great hub, interesting read. I'm always looking for stories that relate to royalty and influence that deal with the subject of history and varying ethnic groups, specifically of African descent. Thanks, LongTimeMother. I think this story of Victoria's magnanimity toward a threatened and helpless orphan is a great one for her to be known by. I learned a lot from this hub. I can't recall ever hearing Queen Victoria presented in such a positive light. Thanks, austine. It is a beautiful story, isn't it? Thank you for sharing this insightful piece of history. Thanks, Phinnah chichi. I think Sarah's story highlights the simple humanity of Queen Victoria at a time when, as you say, humanity seemed in short supply on this side of the Atlantic. Thanks much, Lady Summerset. Sarah's story is fascinating, and several books have been written about it. I hope your research goes well. Wow, I have never heard of this beautiful story. It does show that there was some humanity in the midst of the horrific slave times. What a beautiful and interesting story. One that I had never heard of before. Thank you again for revealing such a little known fact that I will continue to research on my own. Thank you for sharing! Thanks, CelebrateUSA. I think you're right - history should serve to unite us. I just wish more people would learn that history is anything but boring! RonElFran, These tidbits of history unite all of us. What a truly awesome hub. Thank you very much! KrisL, thanks for the encouragement and the suggestion. I don't know much about Dumas yet, but I'll check it out. This is a great story. I reminds me of another one . . . I came across recently . . . that of Alexandre Dumas' father, Haitian-French general. You might want to do a hub on the book about him. Voted interesting and shared. Thanks, vveasey. I think there should have been several movies about this before now! This is another one of those "why isn't this story more known" to the general and black public? Same as "Queen Charlotte: Black English Queen and Wife Of English King George III (1738-1820)"
Thanks, Millionaire Tips. I think Sarah's story may also show Victoria in a new light. This is really interesting - I was not aware of Sarah Forbes Bonetta or her relationship with the queen. Voted up. Thanks for writing such an informative hub about this little known subject. I've seen photos of her on Pinterest, of all places. Voted up and shared. Thanks, Paul. You are right about Sarah's story being little known today, although she was quite a celebrity at the time. Had I not run across the article in a Confederate newspaper (of all places! ), I probably would never have known of it myself. Very interesting and clearly explains a subject I knew very little about. I really enjoyed your use of quotes to provide a historical context and thought that your content was really well laid out and understandable. Excellent hub.